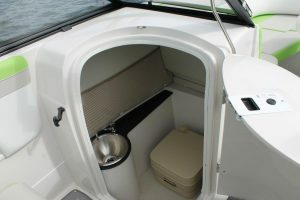 Home » Why Buy a Starcraft Deck Boat? Why Buy a Starcraft Deck Boat? Welcome to Florida’s #1 Source for Starcraft Deck Boats! Make today the DAY! When you compare features and their benefits, the solid construction, the quality and the warranty on a Starcraft boat you will see why we proudly feature Starcraft Boats. Quality – For over 102 years, Starcraft has been known for their attention to detail and quality. It shows in their excellent fit and finish, their style and their time tested designs. The are more comfortable, efficient and better suited to Florida waters than any other brand. Value – Top Notch Marine and if Starcraft boats work very hard to deliver a great deck boat that we know your family will love an awesome price or affordable monthly payment. Warranty – Starcraft knows peace of mind is very important to its customers. That’s why every Starcraft deck boat is backed by the very best limited warranty in the industry. Starcraft covers all its new deck boats with an amazing six year limited warranty and the lifetime hull warranty. Fun! For over 30 years we have been making it easy to get on the water and our customers tell us they have TONS of fun on their Starcraft boats! Your Source for the BEST Value in Deck boats! Top Notch Marine is proud to offer Starcraft Deck boats. Being one of the oldest boat builders in the United States, Starcraft represents the best value in deck boats today. Whether you love cruising, skiing, wakeboarding, or dropping anchor and enjoying the day, Starcraft has the right deck boat for you. 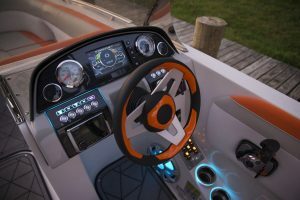 Our exclusive contours are specifically designed to provide handling, and smoother rides to make your time on the water even more enjoyable. The Starcraft deckboat line offers the SCX crossover, the Limited, Starstep, coastal and the all new MDX models from 19 feet to 25 feet to give you a wide variety of floorplans and meet your needs. 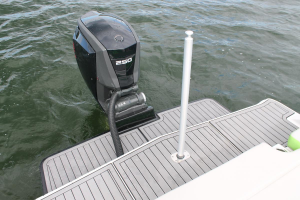 The Starcraft models are made in both I/O (sterndrive) and outboard power options to give you choices in power and engine brands to meet your needs. These deck boats have full windshield or side console models to best fit your family’s needs. See why Starcraft is our top selling brand! With plenty of power, killer looks and jaw-dropping performance, Starcraft’s line of deck boats is built to thrill from the start. Everyone of these versatile beauties features our exclusive dihedral vee-hull design for a smooth, dry ride and a fun filled day on the water! The New 231 is here! Now in stock and on sale! 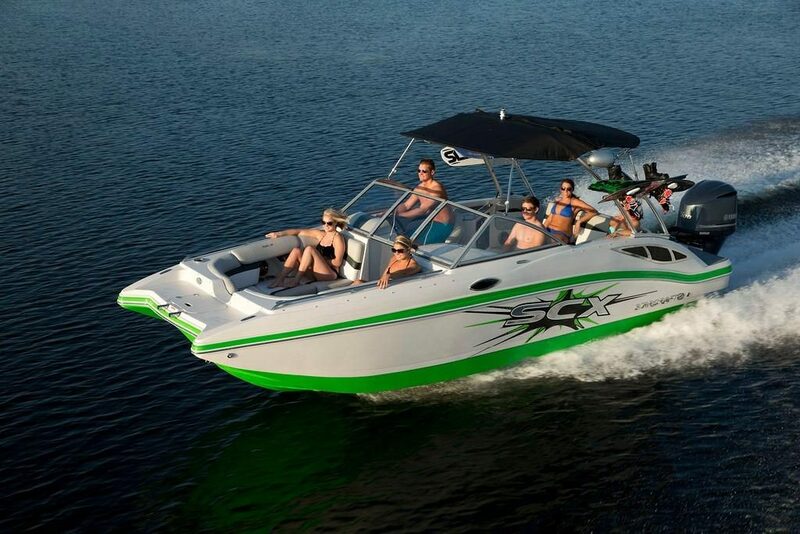 Imagine all the great features of the 211 with deeper sides and an even better ride! Feel the thrill. Love the ride. The Crossover I/O is engineered to excite. With jaw-dropping performance, head-turning style and impressive space, it’s a thrilling way to enjoy the water. Whether you’re spending fun-filled days in a water sports boat with friends or free time with the whole family, this line has everything you want – you won’t want to spend your weekend anywhere else. Make more than a splash with a Star Step OB boat. Driven by the raw power of an outboard engine and coupled with our very own Star Step hull design which features an innovative cutaway design and longer running surface for quick planning, the Star Step fuses versatility with maximum capacity so that everyone can get in on the fun. Top Notch Marine has Starcraft Boats for sale in Florida, Georgia, Alabama, South Carolina and Texas. We sell new and used Starcraft Boats as well. We are especially proud of our huge inventory of Starcraft models including the 1915, 191, 2000, 211, 231, and 250. We typically stock 3 colors of every model Starcraft manufactures. Get the Ball Rolling... Make today the DAY!